Llangollen International Musical Eisteddfod has revealed the full outside stage line-up for this year’s Llanfest (Sunday 8th July, 2pm). Multi-platinum English indie pop-legends Kaiser Chiefs will be headlining on the main stage, supported by pop rock band Hoosiers and nineties icons Toploader. Jack Found - said to have developed a unique style that combines bright energy and a remarkable voice, he is set to release his debut album. His debut single, Sundown, received extensive radio play and was featured on Good Morning Television. Billy Bibby and The Wry Smiles – a four-piece alternative rock ensemble from North Wales and Chester. Camens - a four piece indie/alternative rock band from Staffordshire recently been spotted by BBC6 Music. Destination – Formed in 2014, Destination is a 70s/80s classic rock cover band from Wrexham, playing favourites from various legendry artists including Van Halen, Iron Maiden, Bonjovi, Queen and Gary Moore. Lucy Mayhew – currently recording her debut EP, Lucy from West Kirby offers audiences a fresh neo folk rock sound, drawing on inspiration from the likes of Eva Cassidy and Laura Marling. Ben Roberts – the folk/rock singer based in London started writing music as a teenager, taking influence from his love of classic soul, rock and R&B. Luke Gallagher – Wrexham-based singer/songwriter returns to play at this year’s Llanfest with his nostalgic blend of Mod/60s/90s tunes. Eisteddfod chairman Dr Rhys Davies said: “This year we’re yet again introducing new audiences to contemporary genres of music, perfectly combining the festival’s culture and heritage with ground-breaking modern talent to create the ultimate finale. We look forward to continuing to showcase a wider musical offering to expand upon our current audience. “It brings us so much pride to be able to bring this calibre of local talent together with world-class music legends to mark the end of a phenomenal week of extraordinary events." * More information is available on the Llanfest website. 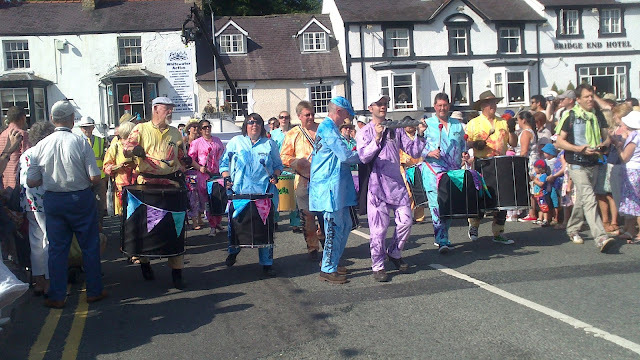 Tickets for the festival, running July 3-8, are available at http://international-eisteddfod.co.uk/events/sunday-llanfest/.Llanfest. Tickets are priced at: £55 standing/ £70 seated.